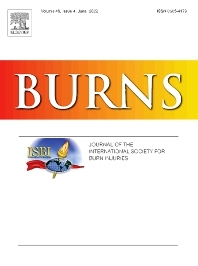 Burns aims to foster the exchange of information among all engaged in preventing and treating the effects of burns. The journal focuses on clinical, scientific and social aspects of these injuries and covers the prevention of the injury, the epidemiology of such injuries and all aspects of treatment including development of new techniques and technologies and verification of existing ones. Regular features include clinical and scientific papers, state of the art reviews and descriptions of burn-care in practice. Topics covered by Burns include: the effects of smoke on man and animals, their tissues and cells; the responses to and treatment of patients and animals with chemical injuries to the skin; the biological and clinical effects of cold injuries; surgical techniques which are, or may be relevant to the treatment of burned patients during the acute or reconstructive phase following injury; well controlled laboratory studies of the effectiveness of anti-microbial agents on infection and new materials on scarring and healing; inflammatory responses to injury, effectiveness of related agents and other compounds used to modify the physiological and cellular responses to the injury; experimental studies of burns and the outcome of burn wound healing; regenerative medicine concerning the skin. Burns seeks to publish suitable material submitted by all professions involved in the care, treatment and prevention of burn injuries. Burns has an Impact Factor of 1.950 in the 2010 Journal Citation Reports®, published by Thomson Reuters.